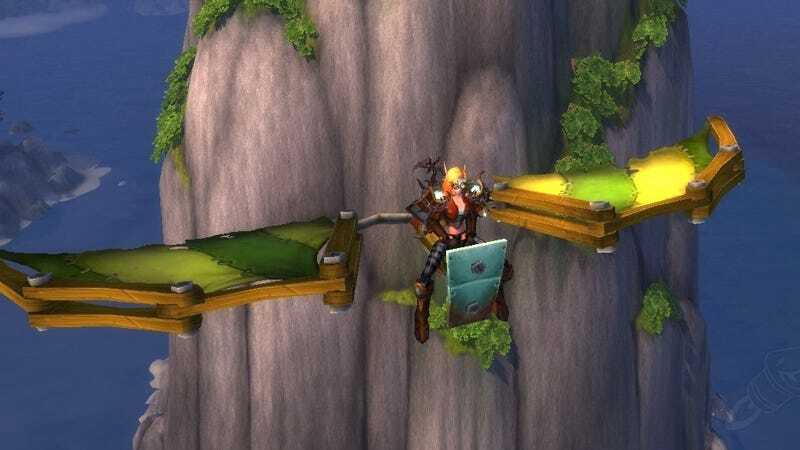 World of Warcraft’s PvP can be nothing else but dozens of players mindlessly massing each other. Especially in Ashran lately. But sometimes, as YouTuber Bajheera’s clip shows, awesome duels can happen where both sides try to do their best. It’s a chase between a Paladin and a Mage. The Mage player Blinks away when the Pally attacks, uses Ice Block to regenerate some health and even jumps off the high ground with a Goblin Glider (very few players carry one) to run away, but none of these have any effect. It’s a serious chase, and while most people would have give up after the Blink, this Retribution Paladin won’t give up.